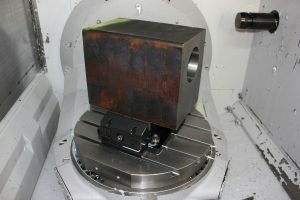 DERO HRK Centering Vises are specially developed for use on multi-axis machining centers and are available in 5 sizes. 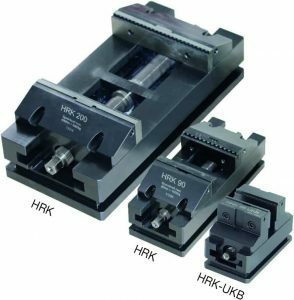 HRK vises are suited for individual part clamping and for clamping on palletizing systems. 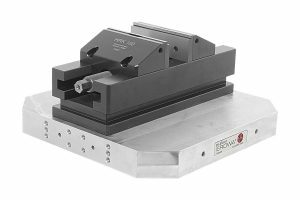 Parts clamping repeatability ranges from less than 0.0004” to less than 0.0012”, depending on the vise size. For best results, secure HRK centering vises with a torque wrench (not included) to achieve a consistent clamping force. Additional jaw options are available for each type of HRK vise at the link below.